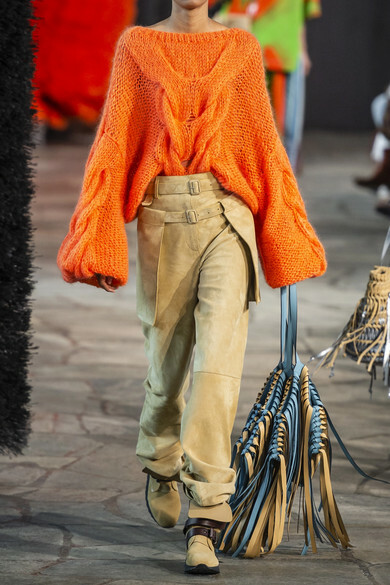 Jonathan Anderson continues his exploration of texture with the clothing in Loewe's Spring '19 collection. 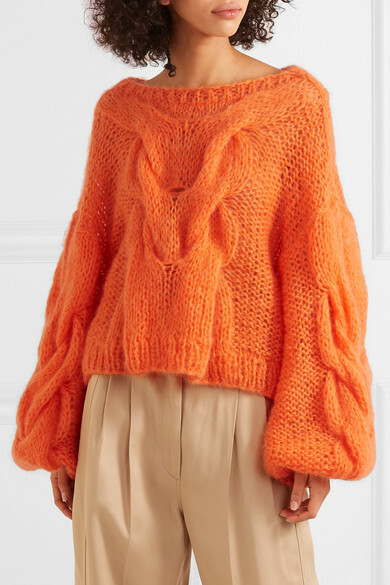 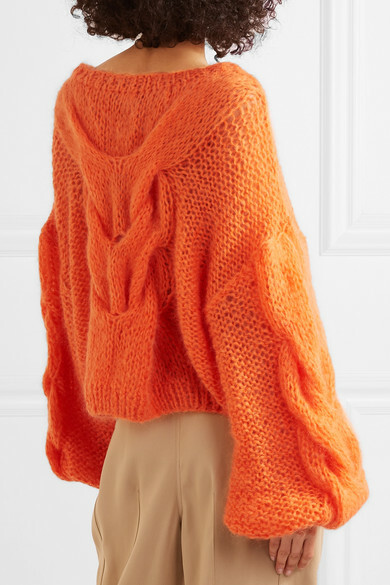 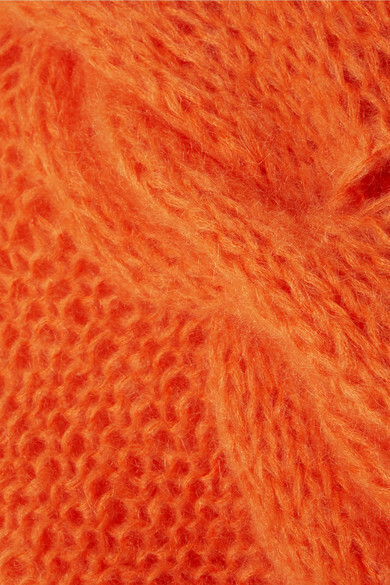 This open-knit sweater is spun for an oversized fit from a fuzzy mohair-blend and has a cable design, too. 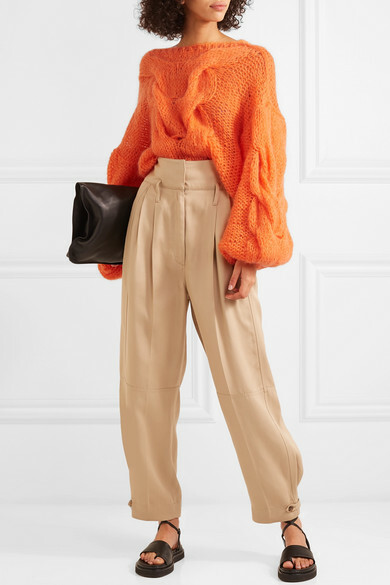 Take cues from the runway where it was tucked into high-rise pants to temper the oversized shape and exaggerated sleeves.